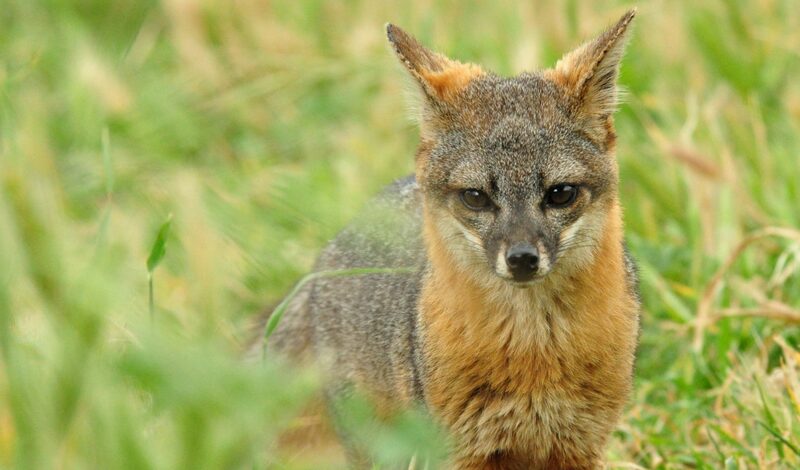 The Santa Cruz Island fox has been removed from the Endangered Species List: the fastest recovery of any mammal under the Endangered Species Act. The foxes, which are smaller than house cats, are revered by indigenous people who first inhabited the islands off the Californian coast. The introduction to the area of feral pigs, which attracted non-native eagles in return, led to their demise: the population plummeted from 1,500 to fewer than 100. But a group of organisations including The Nature Conservancy, the National Park Service, the California Department of Fish and Game, and the Institute for Wildland Studies, launched the Island Fox Recovery Program, an intensive, science-based recovery effort. In 2000, the partners began bringing 20 foxes into captivity to protect them from predation. Numbers began to increase within the captive-breeding facility, which was designed to mimic their natural environment. After six seasons, 85 pups were produced by the programme and released into the wild. However, the removal of the non-native feral pigs, which organisers say was a key component of the restoration programme, was not universally supported. With the predators gone, the fox survival rate increased to 90 per cent and the population rebounded to 2,150 in 2015. “The island fox is a fantastic success story,” said Christina Boser, California islands ecologist for The Nature Conservancy.